I know this is book #3 in this series, but the author gives you enough backstory within the text that you should be able to read this one without much confusion about the world/former events. And this is a good story. Keelin has spent her life sheltered to the point that she hasn't been able to live it. Bran is an alpha, but he's not physically perfect any longer, and that has held him back. Both of them have reasons for not getting involved with the other. They don't want a relationship. But that's not the way things usually work with shifters...and that makes this book really good. I enjoyed this book a lot...just like I've enjoyed the entire series so far. 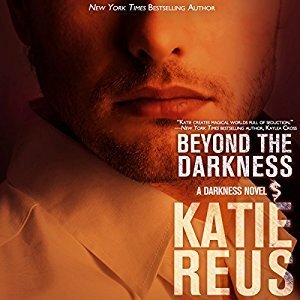 Katie Reus has created a great fantasy world here filled with danger and suspense as well as a great dose of romance. Keelin was a great mix of innocence and toughness that made her a fantastic heroine. And Bran has been so rejected, it hurts my heart. I love the two of them together. I definitely recommend this book and the entire series. And note...the narration by Jeffrey Kafer is fantastic.